Our product range includes a wide range of cationic starch and thin boiling starch. We are counted among the leading manufacturer, supplier and exporter of high quality Cationic Starch that is primarily used to give maximum physical power or strength to the paper. The starch provided by us is processed in tandem with set quality standards using optimum grade tapioca and latest processing technology installed at our end. In addition to this, offered starch is stringently examined on various measures of quality to deliver optimum product at our clients' premises. We offer this Cationic Starch at affordable prices. 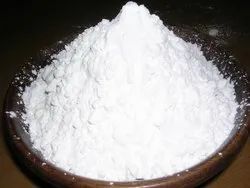 Cationic Starch is a White colour fine free flowing powder. It is insoluble in cold water. Used in paper / boards for retention. Used to increase the internal Paper strength. Being a reputed company in this domain, we offer superior quality Thin Boiling Starch that is suitable for sizing and finishing operations in textile industry. This starch is processed under the guidance of our skilled professionals keeping in mind defined industry standards. 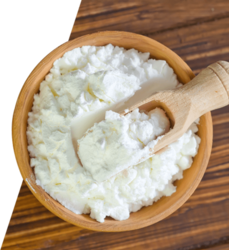 The offered starch is widely appreciated by our clients for its accurate formulation. We offer this Thin Boiling Starch as per the needs of the clients at highly competitive prices. BONDEX EX is a Creamy brown color fine free flowing powder. It is insoluble in cold water.